The next INTA Committee meeting will take place in July 2019. The last INTA meeting, in current legislative term, took place on 1 and 2 April 2019. Draft agenda, meeting documents and main highlights of this meeting can be found below. 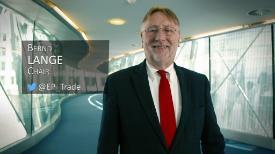 The Lisbon Treaty increased the European Parliament’s powers over EU trade policy. Ten years after its entry into force it is timely to take stock of how the EP has made use of this leverage in shaping the EU’s trade negotiations. This study compares parliamentary scrutiny of trade policy in the EU with the United States, Canada and Australia. It concludes that the European Parliament has become powerful and active in trade policy, on a comparable level to the US Congress. As regards the implementation of trade agreements however, the EU has very few competences in comparison to all other three countries analysed. Investment protection continues to be a controversial issue. The workshop recently held by the Committee on International Trade took stock of existing EU investment protection provisions and analysed the options for a coherent and predictable dispute settlement system in line with the EU Treaties. To address stakeholder concerns, the EU has moved from traditional investor-state dispute settlement arrangements towards introducing bilateral investment court systems in new agreements and pursuing the goal of establishing a permanent multilateral investment court. The European Court of Justice defined the limits of the Union's exclusive competence in its opinion of 16 May 2017 with regard to the EU-Singapore Free Trade Agreement (FTA), which has led to the splitting of new FTAs into two parts, treating investment protection separately. The European Commission presented to INTA Members its 37th report on the European Union’s trade defence activity (published on 27 March). Exceptionally going beyond normal practice, this report specifically takes stock of the major challenges, developments as well as achievements of the Juncker Commission in the area of trade defence. It also describes the EU’s anti-dumping, anti-subsidy and safeguard activities as well as the trade defence activity of third countries against the EU in 2018. Definitive safeguard measures on imports of steel products were imposed in January 2019 (replacing provisional ones) to shield European steel producers following the increased imports of steel into the EU market. They are part of the three-pronged response outlined by the European Commission to the unilateral US measures restricting imports of steel to the US market. The Commission was invited to present in INTA the state of play of these measures in view of their first review to be initiated no later than on 1 July 2019. European Commission was invited to present to INTA Members its reflections on investment trends in the EU focusing on foreign direct investment flows, the new tools adopted (such as the investment screening), and the analysis of the nature of investors and investments. Köszöntjük a Nemzetközi Kereskedelmi Bizottság (INTA) honlapján! Itt találhatja meg a napirendeket és a munkadokumentumokat, továbbá egyéb információkat, például az INTA hírleveleit, valamint részleteket a folyamatban lévő jelentésekről és meghallgatásokról. A Lisszaboni Szerződés hatálybalépése óta az EP döntő szerepet játszik az Unió kereskedelmi politikájának kialakításában, és az EU demokratikus lelkiismeretének a szerepét tölti be. Ez rendkívül fontos feladat, hiszen a kereskedelmi jogszabályok és a nemzetközi kereskedelmi megállapodások csakis az EP jóváhagyásával hajthatók végre. Bízom benne, hogy e honlap hatékony információforrás és kutatási eszköz lesz majd, amely lehetővé teszi az európai polgárok számára, hogy jobban megértsék az INTA munkáját és tevékenységeit, valamint általában véve az Unió kereskedelmi politikáját. Köszönjük, hogy meglátogatta honlapunkat. Amennyiben további kérdései lennének a bizottság munkájával kapcsolatban, kérjük, forduljon a titkársághoz.